The place is huge and quite far from Bangkok. It's a nice use of BTS all day pass. There are beautiful temples and nice well maintained parks. The place is very nice for biking. Worth visiting when in Thailand. Discover the stories of Thai culture and history at two inspiring Bangkok attractions with individual ticket or on one combination ticket. At Ancient City, you'll feel as if you've walked through the entire Thailand in a day. 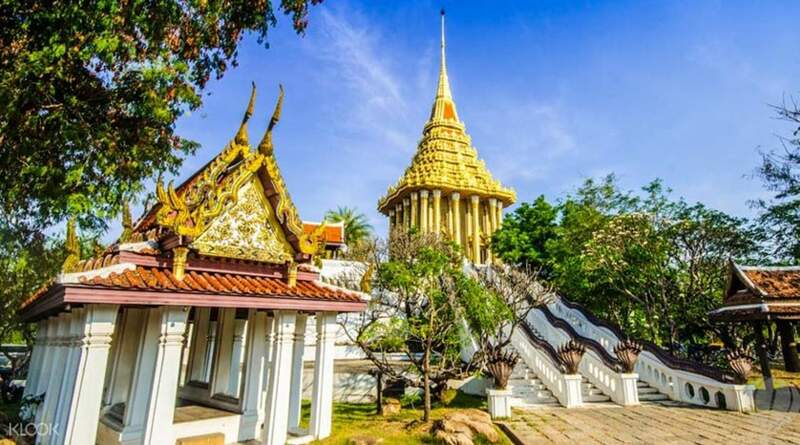 The 'city', one of the largest outdoor museums in the world, is essentially a scaled-down version of the country, with many replicas and reconstructions of Thailand's historically significant structures. See temples, palaces, and shrines, and feel transported back in time as you make your way around the grounds. A colossal, three-headed elephant dominates the structure of The Erawan Museum. 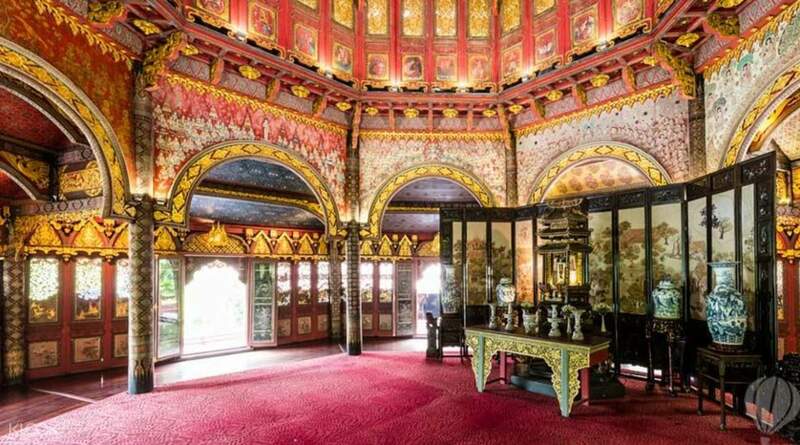 The attraction houses a variety of collections owned by museum owner Khun Lek Viriyapant, offering a look into local heritage, customs and craftsmanship. Both inside and out, it's a fascinating space and well worth a visit. 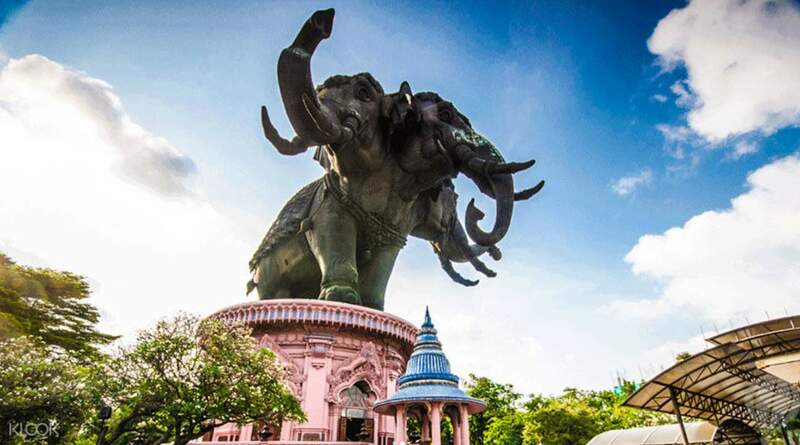 Be greeted by a colossal three-headed elephant statue that stands over the entire Erawan Museum! The place is huge and quite far from Bangkok. It's a nice use of BTS all day pass. There are beautiful temples and nice well maintained parks. The place is very nice for biking. Worth visiting when in Thailand. The place is huge and quite far from Bangkok. It's a nice use of BTS all day pass. There are beautiful temples and nice well maintained parks. The place is very nice for biking. Worth visiting when in Thailand. The Erawan Museum and Ancient City is very nice! It is not a crowded tourist destination. Thanks klook for a hassle-free booking and for saving us bucks. The mango sticky rice in Erawan is a must try! The Erawan Museum and Ancient City is very nice! It is not a crowded tourist destination. Thanks klook for a hassle-free booking and for saving us bucks. The mango sticky rice in Erawan is a must try! Built to preserve and promote cultural and artistic traditions of old Thailand, Ancient city was such a huge beautiful place to visit. Riding a bike, spent over 4 hours there yet barely visited half of its attractions. Definitely a must-go place if you plan to get an overview of Siamese Civilization. Built to preserve and promote cultural and artistic traditions of old Thailand, Ancient city was such a huge beautiful place to visit. Riding a bike, spent over 4 hours there yet barely visited half of its attractions. Definitely a must-go place if you plan to get an overview of Siamese Civilization. Ancient City is giving away the essence of Thailand's culture and architectural beauty to everyone who pays a dear visit.It's very pleasant to be here,and Klook's pre-paid ticket made me trouble free.It's easy,convenient,and hassle free. Ancient City is giving away the essence of Thailand's culture and architectural beauty to everyone who pays a dear visit.It's very pleasant to be here,and Klook's pre-paid ticket made me trouble free.It's easy,convenient,and hassle free. This is a perfect place to visit if you want to take many pictures of temples but lacks time. The place is huge. The ticket includes a free bike. But if you don’t want to get a tan, I would recommend renting a buggy car for an additional 300 baht for 2 hrs. It was the best decision we made. 😊 some attractions are far from each other so taking the bike would expose you to the scorching heat of the sun. There are canteens scattered all over the place so having a quick refreshments and drink was never a problem. We stayed for only 3 hrs but I recommend staying more than that because we weren’t able to go to other attractions. This is a perfect place to visit if you want to take many pictures of temples but lacks time. The place is huge. The ticket includes a free bike. But if you don’t want to get a tan, I would recommend renting a buggy car for an additional 300 baht for 2 hrs. It was the best decision we made. 😊 some attractions are far from each other so taking the bike would expose you to the scorching heat of the sun. There are canteens scattered all over the place so having a quick refreshments and drink was never a problem. We stayed for only 3 hrs but I recommend staying more than that because we weren’t able to go to other attractions. This place is incredible. The sheer scale combined with the intricate detail is phenomenal. Entry ticket includes a bicycle which I believe is the best way to explore the park. I have only two small negatives to say about my experience: the park can be a challenge to navigate at times (I was constantly referring to the map), and some of the exhibits are closed as they are being worked on. Overall a quite amazing day. Worth every penny. This place is incredible. The sheer scale combined with the intricate detail is phenomenal. Entry ticket includes a bicycle which I believe is the best way to explore the park. I have only two small negatives to say about my experience: the park can be a challenge to navigate at times (I was constantly referring to the map), and some of the exhibits are closed as they are being worked on. Overall a quite amazing day. Worth every penny. A very beautiful place to learn about the heritage of Thai Culture. Included in the voucher is a free audio tour. It is also a great place for photos. It gets quite hot so make sure to bring a cap. Also, it is a sacred place so wearing shorts or short skirt are not allowed inside. However they would provide you with free malong to cover yourself up. Make sure also to go all the way to the top and see the view from inside the Elephant. A very beautiful place to learn about the heritage of Thai Culture. Included in the voucher is a free audio tour. It is also a great place for photos. It gets quite hot so make sure to bring a cap. Also, it is a sacred place so wearing shorts or short skirt are not allowed inside. However they would provide you with free malong to cover yourself up. Make sure also to go all the way to the top and see the view from inside the Elephant. We spent the entire day here and 1 day is not enough to cover the entire place! It was so worth it!! We opted to ride a bike vs tram and it was so hot but at least we get to roam around in our own time. This place is massive and it's well maintained too. Will definitely go back here again next time to cover the rest. Plenty of washroom areas and places to eat too. Thanks Klook! We spent the entire day here and 1 day is not enough to cover the entire place! It was so worth it!! We opted to ride a bike vs tram and it was so hot but at least we get to roam around in our own time. This place is massive and it's well maintained too. Will definitely go back here again next time to cover the rest. Plenty of washroom areas and places to eat too. Thanks Klook! We booked tickets for ancient court through Klook. 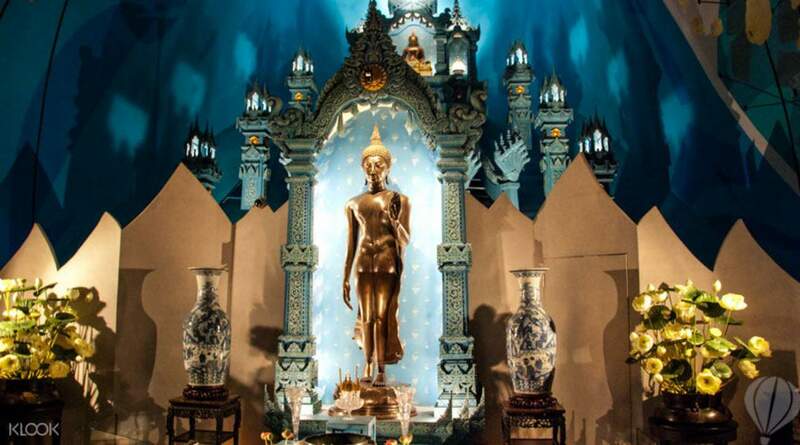 This is a great place to visit if you want to experience the Thai tradition and rich heritage. As always booking through Klook helped us have a great experience. We booked tickets for ancient court through Klook. This is a great place to visit if you want to experience the Thai tradition and rich heritage. As always booking through Klook helped us have a great experience.